Accompanied by a resplendent 32-piece orchestra led by Emily Davis, Alex Parker presents an enchanted evening at the Cadogan Hall on 15th October. Olivier Award nominatee Rosalie Craig, whose previous credits include THE LIGHT PRINCESS and THE THREEPENNY OPERA will play Nellie and John Owen Jones, recently seen in THE WILD PARTY at The Other Palace, will play Emile. Joining them will be Jacqueline Tate (Bloody Mary), Peter Polycarpou (Billis), Bradley Jaden (Cable) and Divine Cresswell (Liat). Completing the cast is Jessica Croll, Jonathan Dudley, Francesca Gordon, Emma Harrold, Charlotte Kennedy, Kayi Ushe, Joe Vetch and Danny Whitehead. Set in an island paradise during World War II, two parallel love stories are threatened by the dangers of prejudice and war. Nellie, a spunky nurse from Arkansas, falls in love with a mature French planter, Emile. Nellie learns that the mother of his children was an island native and, unable to turn her back on the prejudices with which she was raised, refuses Emile’s proposal of marriage. Meanwhile, the strapping Lt. Joe Cable denies himself the fulfilment of a future with an innocent Tonkinese girl with whom he’s fallen in love out of the same fears that haunt Nellie. When Emile is recruited to accompany Joe on a dangerous mission, will Nellie be able to confront and conquer her prejudices and seize her own chance for happiness? 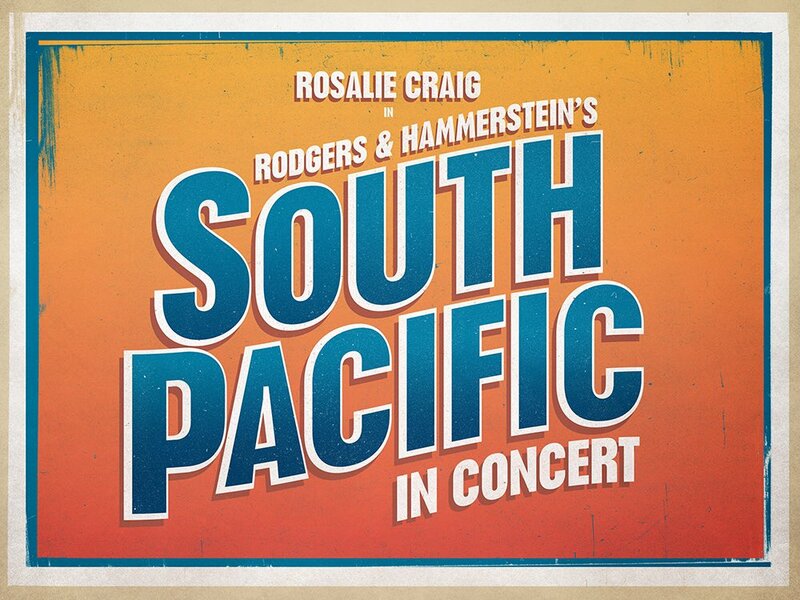 SOUTH PACIFIC has music by Richard Rodgers, lyrics by Oscar Hammerstein II, book by Oscar Hammerstein II and Joshua Logan, and was adapted from the Pulitzer Prize winning novel “Tales of the South Pacific” by James A Michener. This concert version is adapted by David Ives. Come to Me! Come to Me! Buy a ticket!